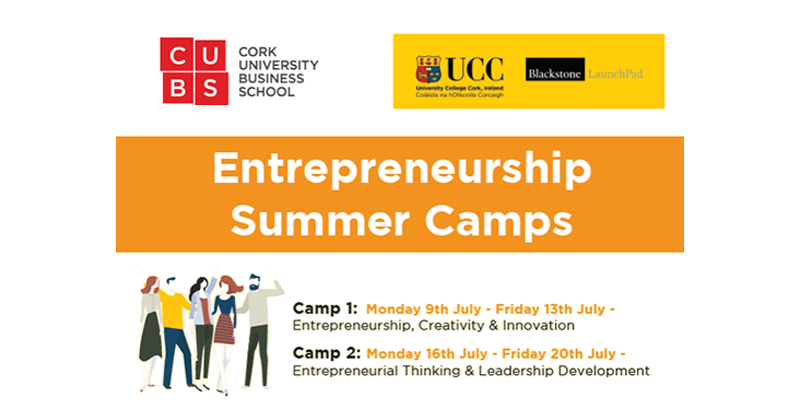 Cork University Business School, UCC’s College of Business and Law and Blackstone LaunchPad at UCC have received funding from the HEA to deliver two one-week Entrepreneurship, Innovation and Creativity Summer Camps that will provide 60 students with new knowledge, develop their soft skills and expose them to business frameworks, leadership styles and entrepreneurial thinking. See below information on the Summer Camps and the application process. We have a fantastic programme of entrepreneurial activities that will challenge and engage young prospective entrepreneurs while having lots of fun & making new friends! The summer camps are free and places are limited so early booking is essential.